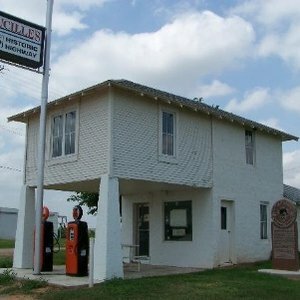 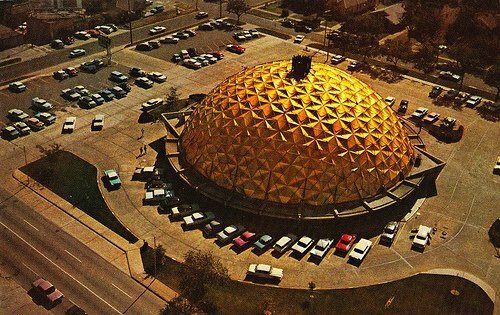 The Gold Dome Building, famous for its unique architecture, is a geodesic dome and major landmark along historic Route 66. 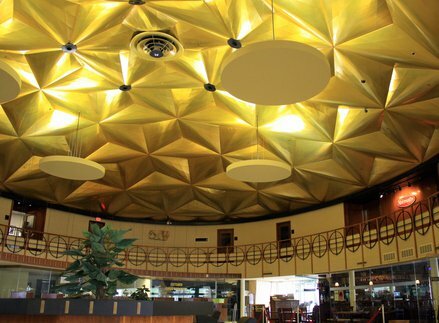 Located on the southern end of Oklahoma City's Asian district, the Gold Dome building was constructed in 1958 and originally housed Citizens State Bank. 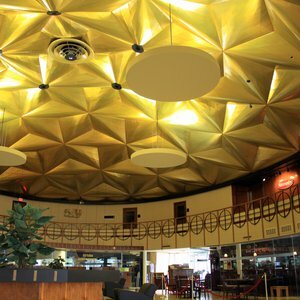 Throughout its history, the Gold Dome has housed a cultural center, art gallery, office space and restaurant. 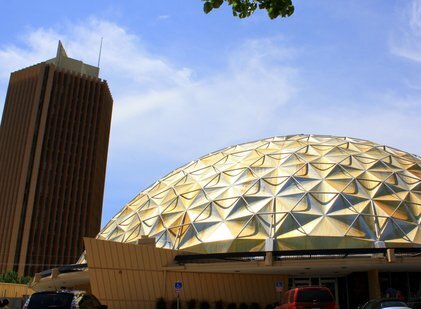 The Gold Dome Building was the fifth geodesic dome constructed in the world and was described as one of the nation's most revolutionary bank designs at the time of construction. 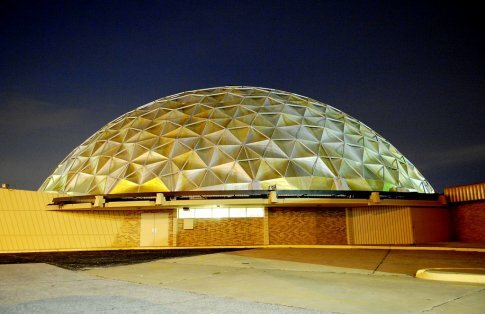 Buckminister Fuller, the famous futurist and architect, is responsible for the Gold Dome's design. 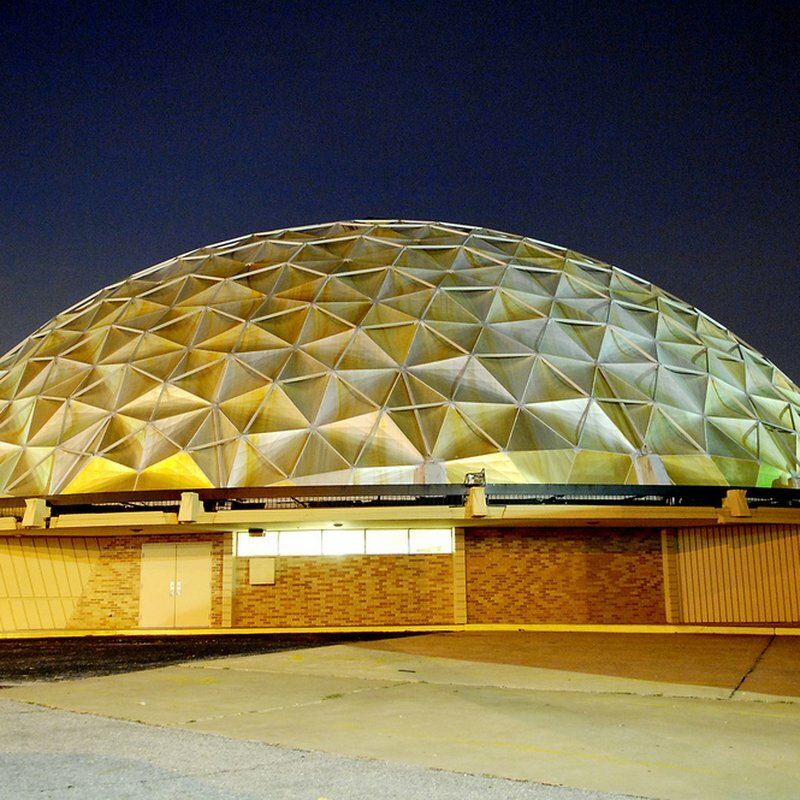 This unusual Oklahoma City landmark is constructed out of 625 individual panels. 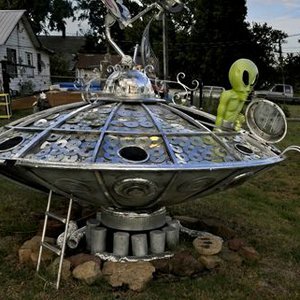 Located at the intersection of NW 23rd St & Classen off Route 66. 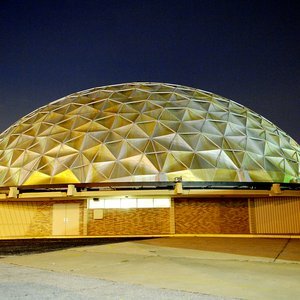 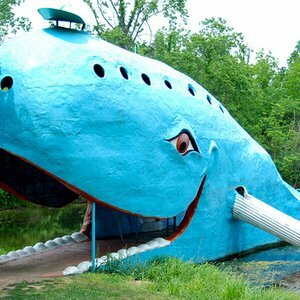 Put on your retro traveling shoes and make an expedition into the future’s past with a tour of Oklahoma City’s mid-century architecture.